Ivy adds pastoral charm to a brick home, yet it can also infiltrate the mortar and expand hairline cracks in the bricks, while creeping into chimneys, inside window frames and underneath roofing shingles. 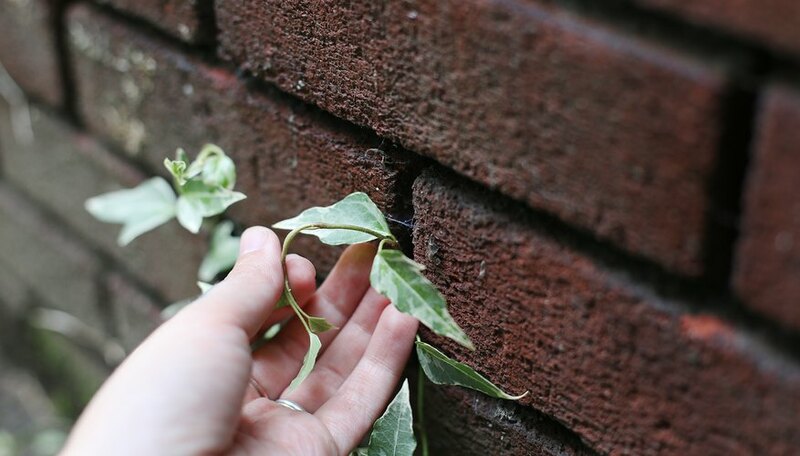 Eventually, removing ivy from brick walls may prove a challenging but necessary task. Make sure the ivy is alive. It is harder to remove if it is dry. Spray the affected area with water so the vines are softer and more flexible. 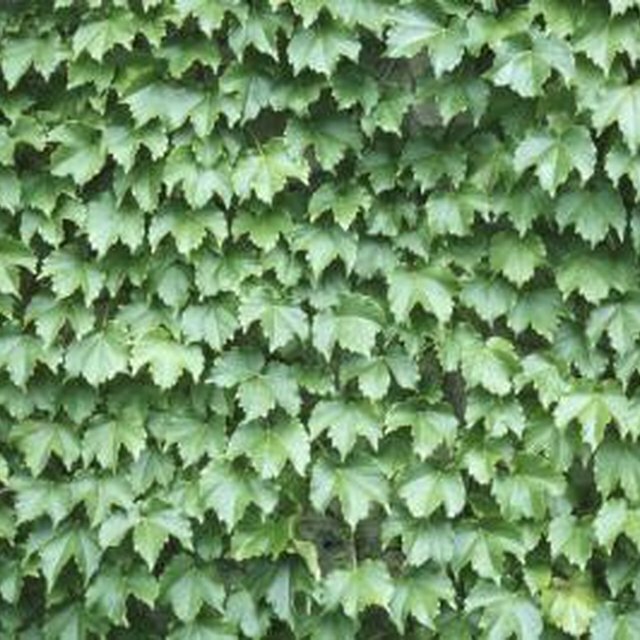 Pull the ivy away from the wall, starting at the vines' highest point and working downward. Use a tree pruner on an extension pole to grasp the higher vines. In many cases, it will be easier to tug the vines slightly to the right or left before firmly pulling them down. 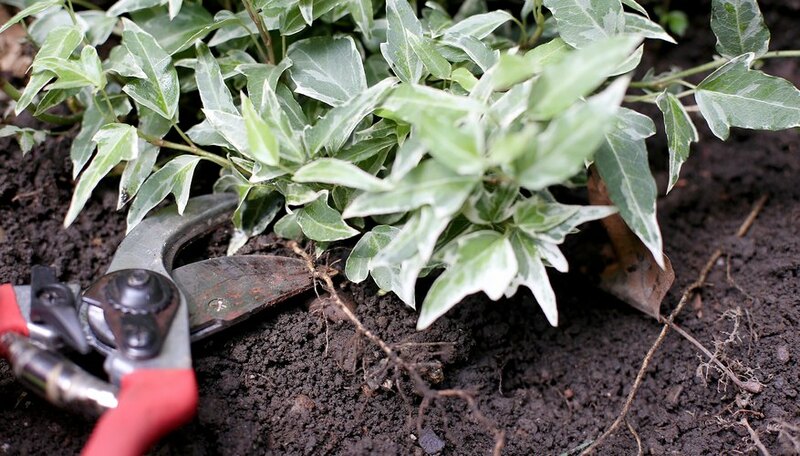 Clip the ivy as close to the ground root as possible. Dispose of the vines in a trash bag, unless you intend to replant them elsewhere. Spray the roots with an environmentally safe herbicide. 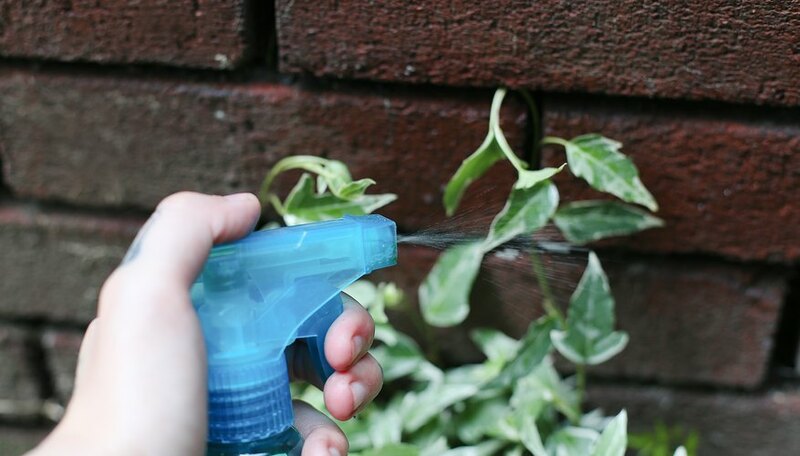 You may need to spray periodically before the ivy is permanently eliminated. Some ivy leaves "feet" (anchors) behind that will be hard to remove. You can pry these off with a putty knife. 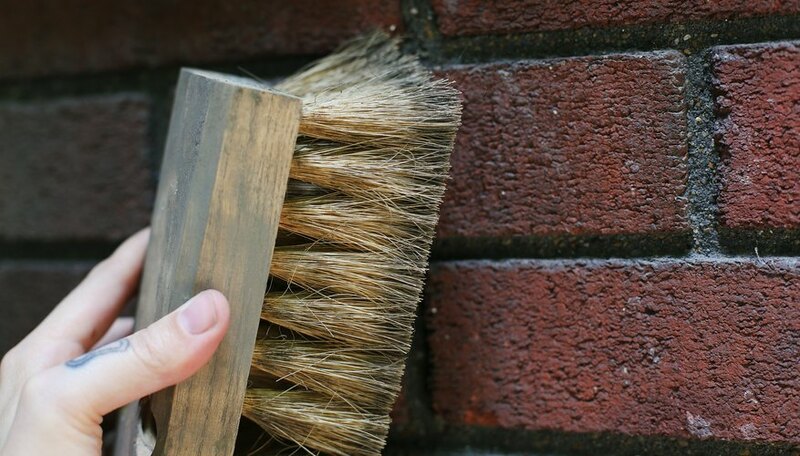 You also can use laundry detergent and a stiff brush immediately after pulling the ivy off. If the feet are left alone for a year or two, they may dry up and disappear.